Frankie Stein is wearing a top, flared skirt, and belt. Dance Class Howleen Wolf is wearing a top, circle skirt, and cap sleeves. 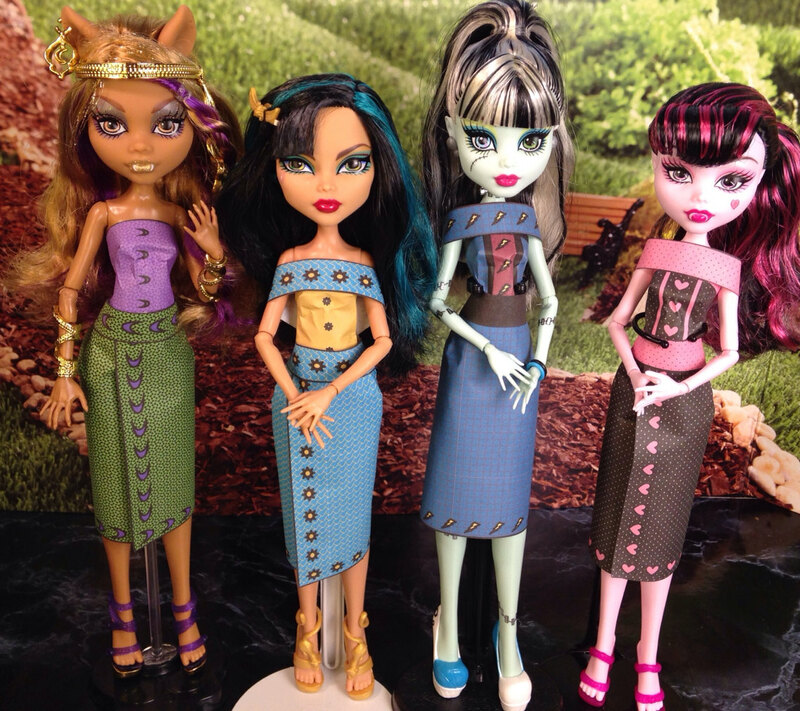 Clawdeen Wolf is wearing a top, overlap in the front straight skirt, and belt. 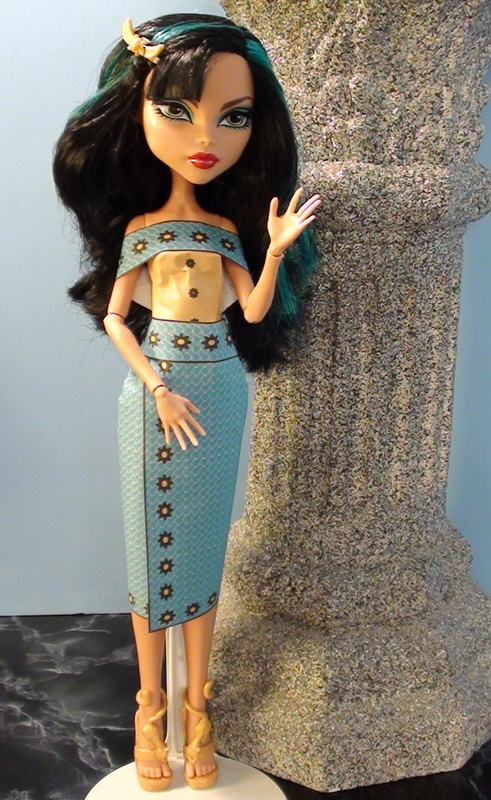 Cleo De Nile is wearing a top, circle skirt, and belt. 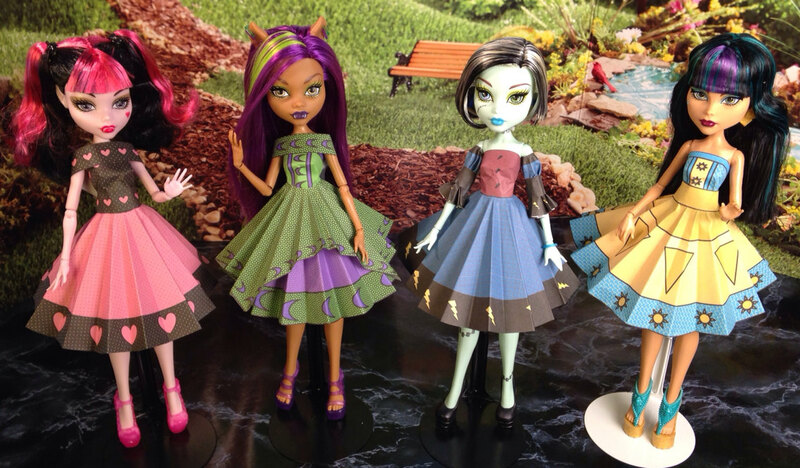 Picture Day Frankie Stein is wearing a top, straight skirt, belt, and wrap around collar. 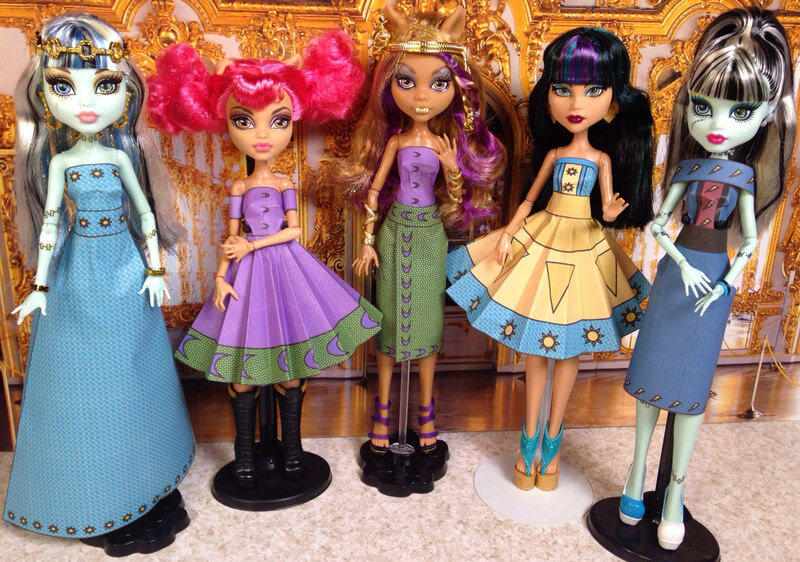 Clawdeen Wolf from the Target exclusive 5 pack is wearing a top, circle skirt, straight skirt over skirt, and wrap around collar. 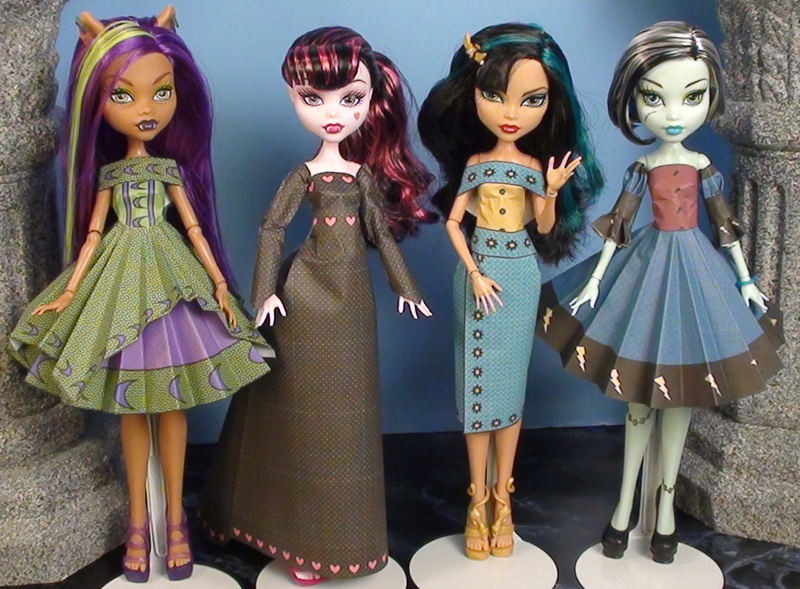 Draculaura is wearing a top, flared skirt, belt, and straight sleeves with a folded point at the wrist. Cleo De Nile is wearing a top, straight skirt with the overlap in the front, belt, and wrap around collar. 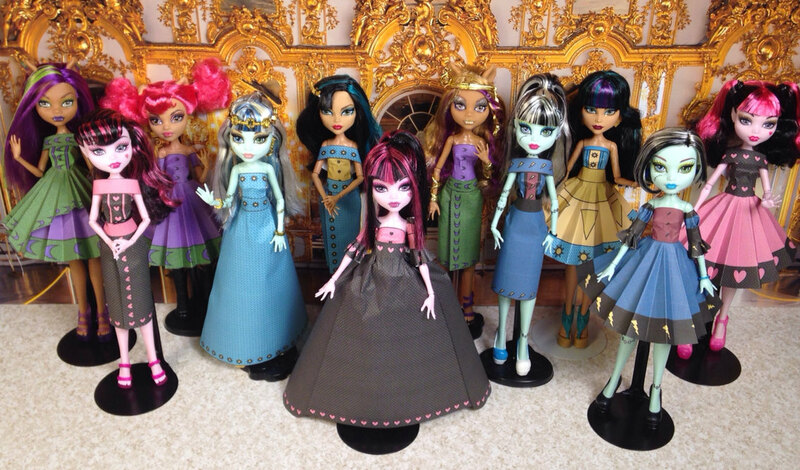 Frankie Stein, also from the Target exclusive 5 pack, is wearing a top, circle skirt, and middle puff sleeves. 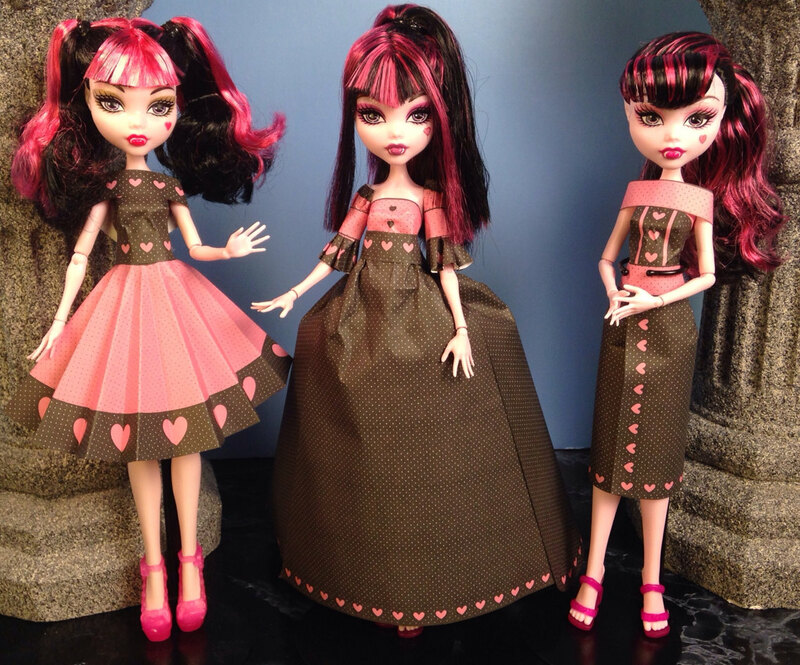 Draculaura Swim Doll is wearing a top, circle skirt, belt, wrap around collar. Draculaura top, flared skirt with two back pieces, belt, middle puff sleeves. 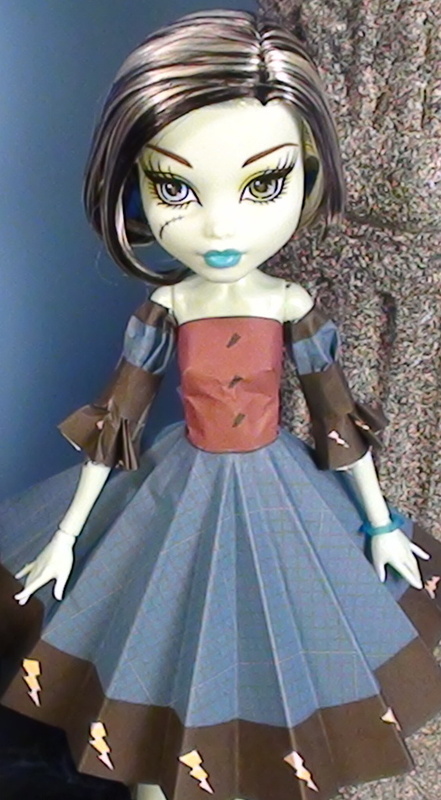 Draculaura is wearing a top, straight skirt with overlap in front, belt, wrap around collar. 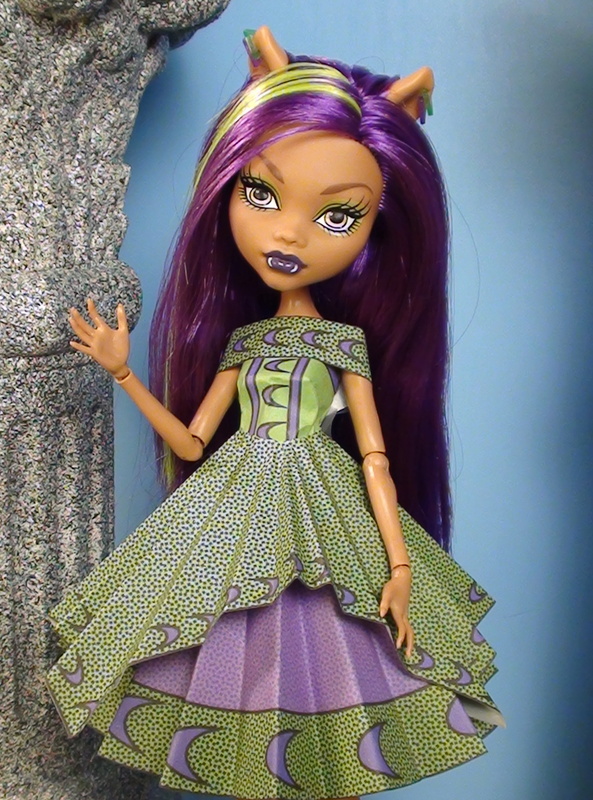 Black Carpet Draculaura is wearing a top, mermaid skirt, and belt. 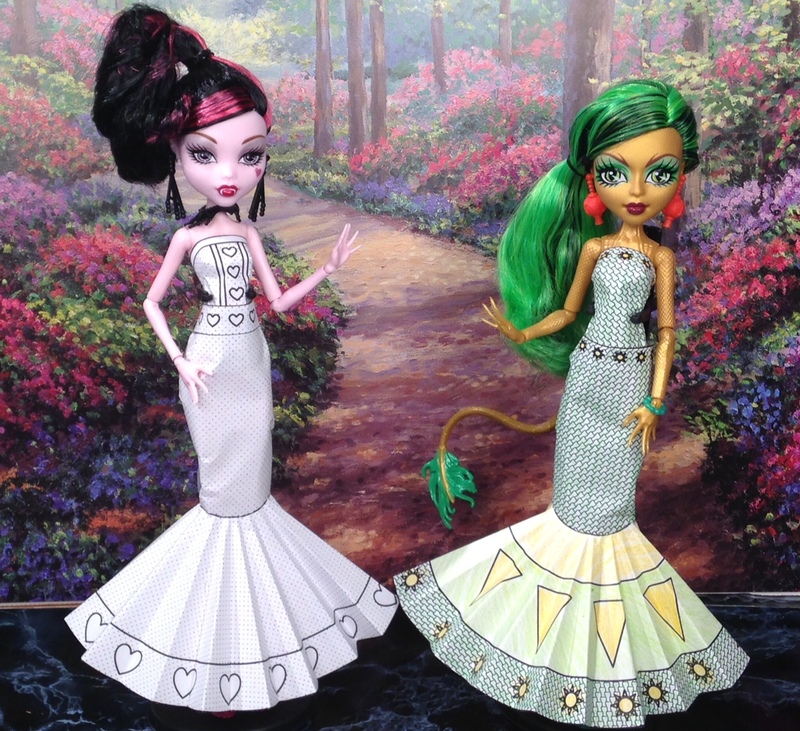 Scaremester Jinafire Long is wearing a top, mermaid skirt. I adjusted the skirt to go around her tail.